Just heard the sad news of Mary Keane’s passing. Mary was often referred to as John B Keane’s wife as indeed she was for 47 years until his death in 2002 but Mary was a legend in herself. I only met her a couple of times but each encounter imprinted itself on my mind and I felt so fortunate that our paths had crossed. Mary had a wonderful way with words, I loved the colloquial language she used and how she seems so totally happy and confident in her own self and place. You might say, Well of course, but it was an extra intangible something that was both inspirational and endearing and a rare enough quality. Mary was taught how to make traditional pies by her mother in law, Hannah Purtill a member of Cumann na mBan, who lived in a house in Church Street. One at a time each circle of dough was rolled into a thinner round. Mary put a generous half fistful of mutton into the centre, brushed the edges with buttermilk and then pressed another round onto the top, the edges were pressed together to seal and then pricked with a fork 4 or 5 times. According to Mary, the tradition of pie making in Listowel came about because the women wanted to go to the races, they didn’t want to be deprived of their fun so they made a ‘blast of pies’ a few days before the famous Listowel races. The way Listowel mutton pies are eaten is unique. The pastry is quite robust because of the small proportion of shortening to flour, not at all fragile. A big pot of mutton broth is made from the bones with maybe an onion or two added. On race day, the pies are slipped, a couple at a time into the pot of strained broth. They simmer away gently for 15 or 20 minutes and are then served into wide shallow soup bowls with a ladle full of hot broth on top. They are eaten with a spoon and a fork and some extra salt and pepper if you like. Diana Dodog, winner of the 2014 Irish Masterchef, will host a Five Mile Dinner at Dunowen House, Clonakilty on Wednesday 9th September at 7pm. Champagne cocktail on arrival followed by a five course meal featuring local produce. One of my favourite Dublin eateries Brother Hubbard on Capel Street is now open in the evenings from Wednesday-Saturday. They are offering a Middle Eastern Feasting Menu featuring a vegetarian mezze platter to share, choice of main dishes and a dessert platter…. Brother Hubbard are also planning a separate evening concept for Sister Sadie next month. You all know that I’m fans of Honey & Co., a teeny weeny but soon to be bigger restaurant in London. Sarit and Itamar have been over to us twice and we love their simple homesy Middle Eastern food. Not sure how they do it but they’ve just come out with a new cookbook, their second in less than 12 months. Their first, Honey & Co won the Sunday Times and the Fortnum & Mason cook book of the year awards. This one is on Baking “our day is marked by what comes out of the pastry section, and there’s always something good on the way: sticky cherry and pistachio buns in the morning: loaf of rich dough rolled with chocolate, hazelnuts and cinnamon that comes out of the oven fresh for elevenses. Lunch is a crisp, crumbly shell of pastry filled with spiced lamb or burnt aubergine, and at teatime there are cookies, cheesecakes, fruit cakes – so many cakes that it’s hard to choose one. After dinner there might be poached peaches with roses or something more traditional – sweet and salty Knafe drenched in orange blossom syrup. There’s something sweet, something in the oven for everyone, all day long – welcome to Honey & Co”. So it’s not all cakes and sticky buns, there are good things for breakfast, elevenses, lunch, teatime and dinner and even some pretty irresistible suggestions for after dark. At present the restaurant in Fitzrovia has just 10 tables it’s what you might call cosy, some of their customers come in several times a day. The downstairs kitchen is also tint, how five chefs and three pastry chefs, three kitchen porters and seven waiters and Louisa in the office, co-exist and run up and down the stairs is an astonishing feat in itself. They are all united by a love for food, a zest for life “even though its only part of what we do the pastry section is the backbone of the operation the driving force and the powerhouse . What baking requires represents everything we want our staff to have and our customers to feel – consideration, concentration, experience, patience, of course, but also a lot of passion, greed, an eagerness to please on an industrial scale and a great big heart. Our days are governed now by the rhythm of the pastry: weighing, mixing, kneading, shaping, baking, chilling, glazing, serving. Of course it’s not just sweet, there’s an excellent chapter at the beginning of the book on ingredients and particularly the quality of the ingredients for baking, the butter, the cream, the sugar and flour, the vanilla, the chocolate, the nuts, the gelatine. They quite rightly emphasize the quality you choose has a major impact on the end result, a fact oft forgotten in our quest for the cheapest ingredients nowadays. Sift the flour and baking powder into a bowl, add the sugar and salt and stir to mix. Make a well in the centre, crack in the egg and whisk, gradually drawing in the flour from the edge. Add the milk gradually, whisking all the time, to form a smooth batter. Fold in the blueberries gently. you face is halving an egg. The best way is to crack it into a little dish, whisk well and then use half. Use the remaining beaten egg to glaze the pastry before baking. slightly, to make up for the fact that they will be wrapped in pastry. Place all the ingredients in a mixer bowl with a paddle attachment or in a food processor and work them together to form a nice smooth dough. (You could of course do this by hand, in which case you will need to rub the butter into the flour and other dry ingredients before mixing in the cream cheese, egg and double cream.) The idea is to keep everything cold and not to overwork the dough – you want some flecks of butter running through, as this will result in a lovely flaky texture once baked. Form the dough into a ball, press down to flatten it, wrap in cling film and chill in the fridge for at least 1 hour. You can prepare the dough up to 3 days in advance of baking – just keep it wrapped in cling film in the fridge until you need it. If you are making a full batch but only need half for now, divide it in two, wrap both pieces in cling film, then put one in the fridge and the other in the freezer. It keeps well for up to a month; simply thaw before rolling and filling. Heat the olive oil in a large frying pan on a high heat, then add the diced onions. Sauté until they are soft and starting to colour (this will take about 8–10 minutes), then add the minced meat. Keep the heat high and mix the meat around vigorously to break it into little pieces. Season with salt and pepper, stir in the spice mix and continue cooking until the meat has browned (this should take about 5–6 minutes). Stir in the tomato purée and cook for another 2–3 minutes. Taste and adjust the seasoning as necessary, then remove to a bowl to cool a little. Mix the tahini paste with the water and the salt, whisking it until it becomes smooth. Place a spoonful of tahini in the centre of each dough disc and spread it around a little. 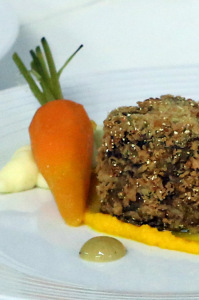 Cover with the cooked lamb, then top with the cherry tomatoes and pine nuts. Carefully lift each lahma onto the preheated tray and bake for 8–10 minutes. We like to serve this with extra tahini dip and a fresh tomato salad. We make this dessert in summer when peaches and roses are in high season. Since finding a constant supply of good unsprayed roses can be tricky, all our staff are under clear instructions to loot whatever gardens they have access to, so everyone comes to their shift bearing gifts of roses for Giorgia. Makes 4 portions of the lightest, prettiest dessert them in an airtight container for up to 2 weeks, but make sure not to refrigerate as they will soften. When you come to serve, the best way to get the jelly out of the moulds is to find a bowl that the jelly mould can fit into easily and to fill it with boiling water. Dip the mould in the hot water for 2 seconds and remove, then use your finger to pull the jelly a little to the side. This will allow air to come between the jelly and the mould; if you then flip the mould onto a serving plate, the jelly will slide out. Repeat with the other jellies. 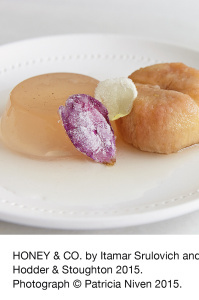 Place a peach at the side of each jelly and pour over a little of the cooking liquor. Then just splash with some sparkling wine and garnish with the rose petals, if using. At the end of our street is the head office of Caprice Holdings Ltd, the group that operates some of the best and glitziest restaurants in London. Alvin and Kate work there, and treat us as their canteen. We know Alvin’s weird coffee order, and that Kate will have hot chocolate in winter and sparkling lemonade in the warmer months. They are both great lovers of cake, and whenever there is a birthday in the office we get an order for one with some silly writing on it – ‘Cheers, all the best’ or ‘Shiiiiiiiit’ – often private jokes that only they understand. This cake is their absolute favourite (they have a horrible nickname for it – ‘the green goddess’ or ‘green velvet’), so this recipe is for them, in the hope that they will never bake it themselves, but instead keep on coming to us for it. Preheat the oven to 190°C/170°C fan/gas mark 5. Butter a 1kg (2lb) loaf tin and line the base and long sides with a sheet of baking parchment, allowing a little overhang at the sides. Once the oven is hot, roast the pistachios for 8 minutes. Keep them whole and leave to cool a little. Mix the flour, salt, ginger and star anise together and add the pistachios. Place the sugars and oil in a large mixing bowl (or you could use a machine with a whisk attachment if you are super-lazy) and whisk together until combined. Whisk the eggs in one at a time and keep whisking until you have a lovely emulsified texture, a little like mayonnaise. Now add the rest of the ingredients, get rid of the whisk and use a large spoon or spatula to fold and combine to an even mixture. Transfer the cake batter to your lined loaf tin and bake for 35 minutes. 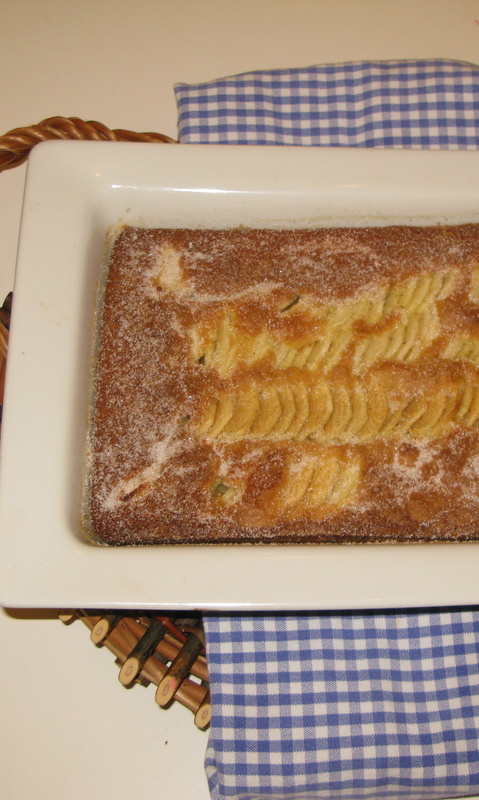 Turn the tin around so that it bakes evenly and leave for a further 15–20 minutes. The end result should have a lovely springy feel. Allow to cool in the tin before removing. This will keep in an airtight container for up to 3 days and for up to a week if you store it in the fridge. 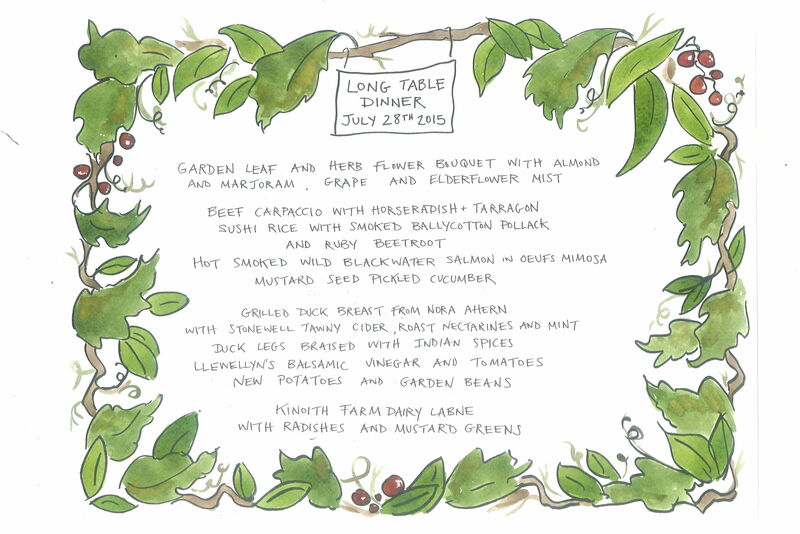 We had our annual Long Table Dinner in the glasshouses a couple of weeks ago. It was completely sold out with a waiting list of people eager to come if there was a cancellation, even at the last minute. Six nationalities travelled here for it: English, South African, American, French, Swiss… as well, of course, as a large Irish contingent. 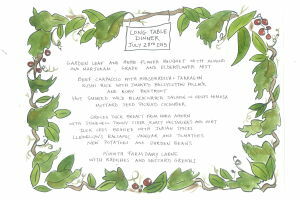 It was heaven sitting at a long table in the midst of the tomatoes and runner beans. This is always a wonderful time of the year here in the Cookery School gardens, with everything looking lush and luxuriant. But I love the excuse of an event to polish everything up an extra notch. Preparation starts several months ahead. After the early potato crop has been harvested, we plant grass seed in a couple of bays of the greenhouses. This lush lawn creates a beautiful green carpet for the Long Table Dinner. The field kitchen in the neighbouring bay was beautifully screened off with fresh beech branches and willow lattice. 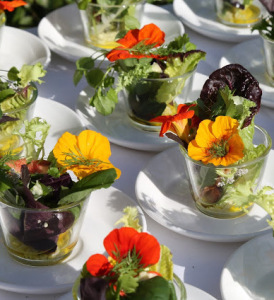 For the past couple of weeks there has been a frenzy of activity – with Rory O’ Connell testing and tasting dishes made with the seasonal summer produce. A few students from the summer Twelve Week Course had asked to stay on to help at the dinner. They loved the experience, and being able to see the behind the scenes preparation, cooking and serving of a summer feast for a hundred people. The weather forecast was pretty grim, so we all held our breath but despite our apprehension, we were fortunate with the weather. About an hour before the guests arrived there was the sort of sudden downpour that we’ve become accustomed to this “summer”. But after that it was blue skies all the way. Guests started to arrive at 4pm and Sommelier Colm McCann and his team had some cava with elderflower or rhubarb cordial and fresh mint lemonade ready for the guests. Emer and Pat grilled sourdough bread and topped it with heirloom tomatoes and basil, or scrambled organic eggs dotted with Ballycotton lobster. We welcomed the guests and thanked them for supporting the East Cork Slow Food Educational Project – and explained we are saving up to convert a disused shipping container into a prototype teaching kitchen for local schools to teach their pupils how to cook the produce they grow in their school gardens. 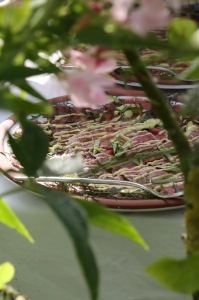 After the aperitif and nibbles, the guests walked through the organic farm and gardens. We explained that the Cookery School and farm are completely integrated: the School is our indoor classroom, we use the farm and gardens as an outdoor classroom. We showed them the photovoltaic system that generate electricity for the School, even on dull days, and the student beds where local children learn how to sow seeds and grow vegetables and herbs. Many were also fascinated by the dairy, where our Jersey cows are milked and the butter, buttermilk and yoghurt are made. At this time of the year it looks like the Garden of Eden with kiwi and passionfruit overhead, and a wonderful variety of aubergines, sweetcorn, chilis, salad leaves, peppers, beans, heirloom tomatoes, beets, zucchini … as well as peach, fig, nectarine, pomegranate and grapevines around the edges – so beautiful. The Gardeners were playing trad music as we arrived to add to the magic. The main course was also sensational, in the words of the guests around me: Grilled Breast of Nora Ahern’s Duck with Stonewell Tawny Cider, Roast Nectarines and Mint. Rory had also braised the duck legs and wings with Indian spices, Llewellyn’s balsamic vinegar and tomatoes. That dish too was enthusiastically received., here’s the recipe if you’d like to try it yourself.The Jersey butter and sea salt on the table embellished the floury new potatoes, a variety called Colleen, and the green beans which had been dug and picked not more than a half an hour before dinner. Next the cheese course: Labne made with dripped natural yoghurt, served with Radishes, Savoury, Highbank Orchard Apple Syrup and Homemade Cheese Biscuits. The music played on, and then there were JR’s raspberry marshmallows, candied chocolate orange peel, biscotti, and madeleines, still warm from the oven. Served with coffee and fresh herb tisanes. A real celebration of the food from the farm and gardens and local area and the blessings of Mother Nature. Hans Wieland will teach a Home Preserving course at the Organic Centre in Co Leitrim on Saturday August 29th He will cover a wide range of methods to store and preserve your surplus garden crop from drying, fermenting, storing and freezing…. A Taste of West Cork (4th-13th September).The 10 day festival will include an open air street food market, food demonstrations, tastings, interactive workshops, cookery competitions…. -SAVE OUR SMALL SHOPS, support them or loose them. The whole country seems to be gone discounter mad, seems like people can’t talk about anything else- BMW’s, Merc’s, Audi’s, Toyotas, MIni’s, all lined up outside filling the boot with the latest bargains, but remember as the ad says when there’re gone there’re gone and when there all gone there all gone…. Is this the kind of Ireland we want ? Remember we can all make a difference to our local town and community by how we CHOOSE to spend our euro…. Carpaccio is the ultimate recipe to make a little beef go a very long way. This sophisticated dish was invented in Harry’s Bar in Venice and named for Carpaccio, the great 15th century Venetian painter. 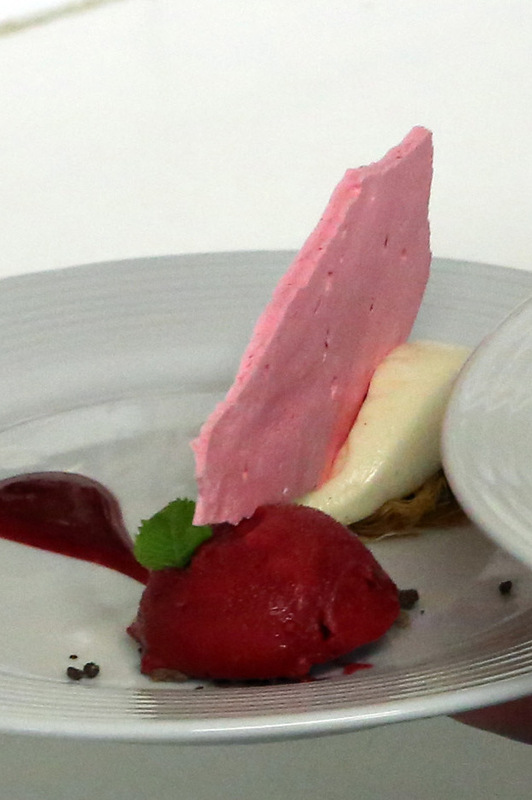 There are many variations and this one is inspired by a version served at the Cipriani Hotel. If you are using Mustard Sauce, make it first. Put the egg yolks into a bowl, add the mustard, sugar and wine vinegar and mix well. Whisk in the oil gradually as though you were making Mayonnaise. Finally, add the grated horseradish, chopped parsley and tarragon. Taste and season if necessary. Chill the meat. Slice the beef fillet with a very sharp knife, 1/3 of an inch thick. Place each slice on a piece of oiled cling film or parchment paper, cover with another piece of oiled cling film or parchment paper. Roll gently with a rolling pin until almost transparent and double in size. Peel the cling film or parchment paper off the top, invert the meat on to a plate, and gently peel away the other layer of clingfilm or parchment paper. Arrange the rocket leaves on top of the beef and scatter with very thin slivers of Parmesan over the top. Sprinkle with sea salt and freshly ground pepper. Drizzle with the Mustard Sauce or with very best extra virgin olive oil and serve immediately. Note: Rocket and Parmesan Salad served without the carpaccio but drizzled with extra virgin olive oil is a very fashionable starter and very addictive it is too. Place the cherries, sugar, kirsch and lemon juice in a small saucepan. Cover and place on the gentlest heat. The sugar needs to melt and the cherries need to cook and soften slightly. This takes about 20 minutes by which time you should have a lovely cherry compote with ruby coloured syrup. Mix the turmeric, cumin, paprika, coriander, cayenne pepper and garam masala in a small bowl and set aside. Heat the oil in a heavy casserole. Add the dry duck pieces skin side down and cook until hazelnut brown. Turn and repeat on the other side .Remove from the casserole. Add the mustard seeds and fenugreek seeds and allow the mustard to pop, a matter of seconds. Now immediately add the curry leaves and sliced onions and cook until the edges of the onions are lightly browned. Add the ginger and garlic and fry for 1 minute. Add the spices and cook over a gentle heat all the while stirring for 30 seconds. Add the tomatoes and cook for 3 minutes to slightly soften. Scrape the bottom of the pan as you go. Add the browned duck pieces, vinegar, salt, sugar and enough water to barely cover the duck, sir all to gently mix. Bring the contents of the casserole to a simmer and cover. Cook at this gentle simmer for 45 minutes. Remove the lid and continue to cook at a simmer for a further 30 minutes occasionally stirring and scraping the casserole bottom. By now the sauce should have reduced and thickened slightly. Taste and correct seasoning. 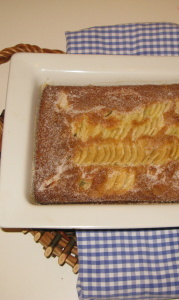 Serve with boiled rice or new potatoes. French beans or spinach are also a perfect accompaniment. It’s become a bit of a tradition at the Ballymaloe Cookery School for the students to do a fundraiser during the term to support the East Cork Slow Food Education Project. We’ve had all kinds of events including a sponsored foraging walk over the cliffs at Ballycotton, and a pub quiz in the Blackbird. 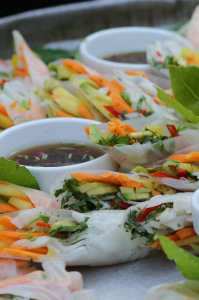 In recent times, a Pop Up dinner in the Garden Cafe at the Cookery School has been the most popular choice also chosen by this term’s students. Their theme was ‘A Midsummer Night’s Feast’. They drew up exciting and elaborate plans, divided the work between them and for the past few weeks they have been researching, planning and testing with youthful enthusiasm and terrific gusto. They read Shakespeare’s classic play, A Midsummer Night’s Dream several times over – and an Indian student from Mumbai read passages from the play at intervals during the meal in his charmingly dramatic way. They planned the menu – incorporating as many fresh local foods as they could and seasonal produce from the farm, gardens and greenhouse. The succulent lamb for the main course came from Frank Murphy’s butcher shop in Midleton. They even picked the organic rose petals from the water garden and dried them for the spectacular dessert. On Saturday and all of Sunday they worked with military precision. The teams were cooking all day having loads of fun. The bread makers started at 5.30 am on Sunday and made four lovely breads which were served with Jersey butter fresh from the dairy. They hung beech leaves and wild clematis from the rafters and did a paper installation that looked like fluttering birds over the doorway. The design team chose to transform the dining room into a midsummer forest scene and went off foraging round the gardens to find all sorts of summer foliage and blossoms. Three long tables were laid with starched white linen table cloths. They had fresh banana leaves from the greenhouse down the centre as a runner topped with mossy logs wound round with the creamy white fragrant blossoms of philadelphus – mock orange – which scented the air so beautifully. The Strawberry and Mint Cocktail and a Passion Fruit and Mango Non-Alcoholic Cocktails were both irresistible and they made a beautiful ice bowl full of roses to hold the ice. Candles and twinkling night lights were lit in the conservatory and a student played the piano serenading the guests as they arrived. A Swedish student where midsummer night is a traditional celebration, had shown some other students how to make little herb and flower wreaths for the waitress’s hair. The delicious canapés created set the scene: Smoked Salmon with Cream Cheese and Cucumber; Indian Spiced Potato Cakes with Mint and Yoghurt Raita and Vietnamese Spring Rolls with Tamari Dipping Sauce got an overwhelmingly positive response and there were gasps of admiration when the guests saw the transformation of the Cafe. 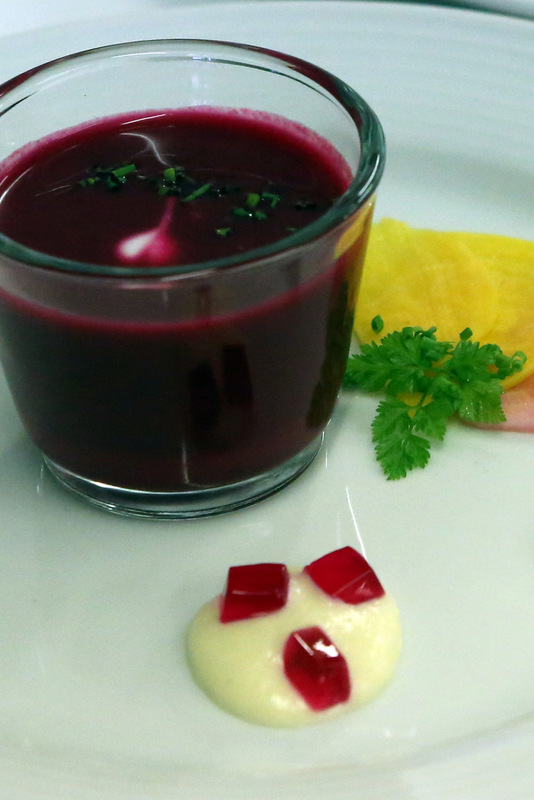 The beautiful summer starter incorporated beetroot in three ways: Chilled Beetroot Soup, Beetroot Carpaccio and Beetroot Jelly and Sour Cream. The desserts Feta and Honey Cheesecake, Raspberry Spuma, Chocolate Soil and Meringue Shards… got compliments from every table. All the students had been invited to enter a competition for the best midsummer night’s dream confection – it had to have some kind of flower connection – meringue lollipops, chocolate bark, rose petal cake, tarts and cupcakes there was scarcely a rose left in the garden after the event! Some of the students had done a little cooking before they came to the school, a few having worked in professional kitchens. But many had scarcely made toast before they joined us 10 weeks ago – so we were bursting with pride at what they had achieved, having done all the planning and cooking, themselves, a view shared by the guests. They created a truly magical and memorable evening, a huge thank you to all involved. Event stylist Jette Virdi and chef Johan van de Merwe love connecting people to each other and to their surroundings through the medium of food. In a new project taking place in late summer 2015, the pair are inviting Dubliners to see their city from a different perspective through a series of rooftop dinners. Over the last three weekends of August 2015, Jette and Johan will combine their skills and take over three rooftops around the city. Jette will create a bespoke design for each venue whilst Johan will wow diners with a menu that reflects the best of local produce. Welcomed by cocktails crafted by Anna Walsh (Irish Bartender Champion 2015), guests will then be taken through a wonderful 4 course dinner all for €45. The students served this soup in small bowls with slivers of raw beetroot, a beetroot jelly made from the beetroot pickling liquid and sour cream. Wash the beets under a cold running tap with your hands being careful not to break the skin. Leave the little tail on and about 5cm (2 inches) of the stalks intact so as not to allow the beets to bleed. Place in a saucepan that they fit snugly into and cover with boiling water. Add a pinch of salt and sugar. Cover, bring to the boil and simmer until the beets are cooked. The cooking time depends on the size and they can take anything from 20 minutes for tiny little beets to 2 hours for larger ones. They are cooked when the skin rubs off really easily. Don’t use a knife to test if they are cooked, as this will also cause bleeding. While the beets are cooking, melt the butter and allow to foam. Add the onions, coat in the butter, cover tightly and sweat very gently until soft, tender and uncolored. When the beets are cooked, peel, chop coarsely and add to the onions. Add just enough boiling chicken stock to cover and season with salt, pepper and a pinch of sugar. Bring to a boil and simmer for just 1 minute. Now purée to achieve a smooth and silky consistency. Allow to cool completely. Add yoghurt and a little cream to taste. Check seasoning adding a little sugar if necessary. Serve chilled with a swirl of yoghurt and lots of chopped chives and a few chive flowers if available. Preheat the oven to 110°C\225°F\regulo ¼. Put the egg whites into a spotlessly clean bowl of a food mixer. Break up with the whisk and then add all the castor sugar in one go. Whisk at full speed until it holds a stiff peak 4 – 5 minutes approx. Add a few drops of colouring and rosewater to taste (strength – varies, depending on the brand). Stir carefully to mix. Meanwhile line 1 or 2 baking trays with parchment paper. Lay the lollipop sticks well apart on the tray, pipe a solid circle of meringue about 12 mm in diameter on top. Bake in the preheated oven for 30-40 minutes or until they can lift easily off the parchment paper. Allow the meringue lollipops to cool on the trays. Serve with a bowl of cream. Boil or steam the potatoes until soft, peel and push through a ricer. Transfer into the bowl of a mixer. Add softened butter which will melt into the warm potatoes as you mix with a dough hook for 1-2 minutes. Meanwhile, warm the buttermilk to 37°C/99°F, add to the potato. With the machine running, add 2 large eggs, 1 tablespoon of castor sugar, 1 tablespoon of honey and 3 teaspoons of salt. Add the dry yeast to the mixture and continue to knead for 1-2 minutes. Allow to stand for 5 minutes and then gradually mix in 880g of strong white flour using dough hook. Add additional flour until the dough comes away clean from the mixing bowl (dough will be moist and will not clean completely from bowl surface depending on the type of potato used). Continue to knead dough by hand, adding additional flour if necessary. Dough will be silky soft and light when hand kneading is finished (approximately 7 – 10 minutes). Return the dough to a lightly oiled food mixer bowl and cover with cling film. Allow to rise to double the original volume at room temperature (1 – 1 1/2 hours). Deflate dough and shape into well formed 90g (3 1/2oz) rolls. Arrange on a buttered pan leaving approximately 2-4mm (1/8 – 1/4 inch) between the rolls to allow for rising. Allow to rise into a continuous pan of rolls over a 1 1/2 hour period (rolls should double in volume and keep finger imprint when rise is finished). Transfer the risen rolls into a preheated oven at 180°C/350°F/Gas Mark 4 for 25 minutes. Spray the base of the oven and sides with water. The tops of the rolls will be well browned at the end of baking. Check that rolls are thoroughly baked and remove pan to cooling rack. Brush the tops with melted butter immediately after removal from oven and allow to cool to room temperature. Note: if you can only find low fat buttermilk, add 50ml (2fl oz/1/4 cup) cream to compensate. Fry the onion in a little olive oil until golden. Mash the boiled peas and potatoes with the other ingredients. Shape the dough into small balls. Roll them in some flour and arrange them on a baking tray. Refrigerate. 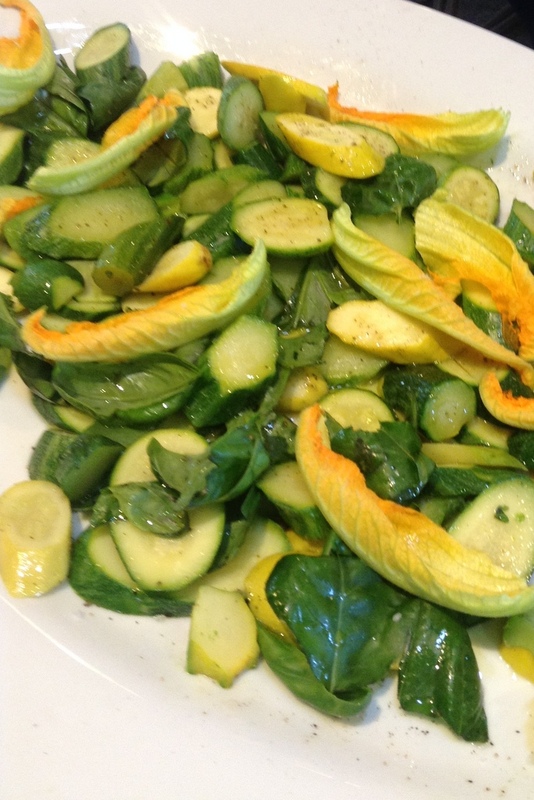 Just before serving, heat olive oil or sunflower oil in a frying pan on a medium heat. Shallow fry on both sides until golden. Blitz everything in a liquidiser until smooth. Keep refrigerated until ready to serve. Aarudhra comes from Tamil Nadu in India. These potatoe and pea patties were a big hit at the Midsummer Feast – she sweetly shared the recipe with us all.